It's that time of year my friends! That time of year where everyone claims they are "Irish" whether they are or not and but ya know what?, that's ok because that just means they are wanting to have some fun with St. Patty's Day! ;) That's right, it's that time where everything is green and gold and four leaf clovers are in abundance. Personally, I do like to have some fun with this day just as much as the next guy but I am not one to go all out persay. ;) What I do LOVE about it are some of the sayings or catch phrases that are synonymous with this day. 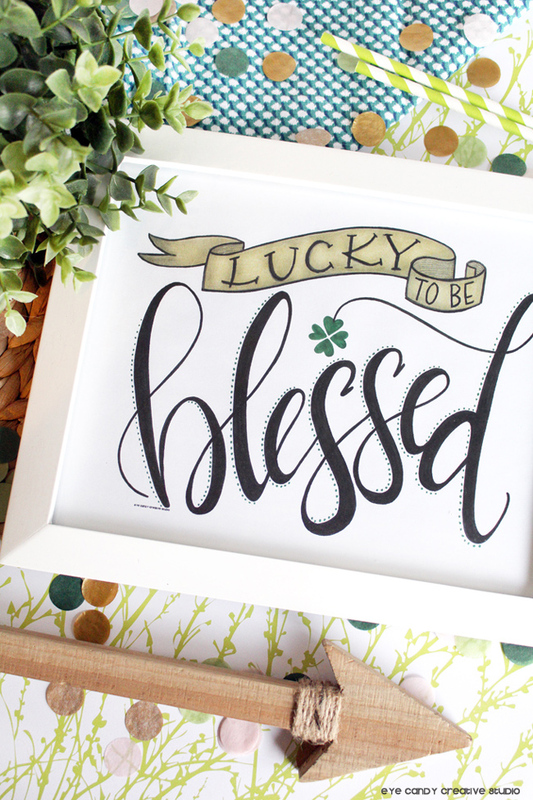 One of them being "Lucky To Be Blessed". 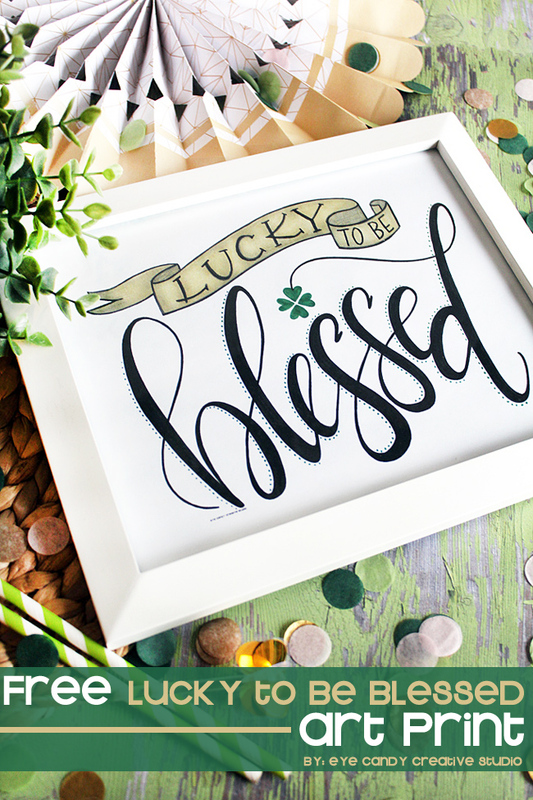 Having said that, it is what inspired my latest FREE hand lettered art print to share with you all. 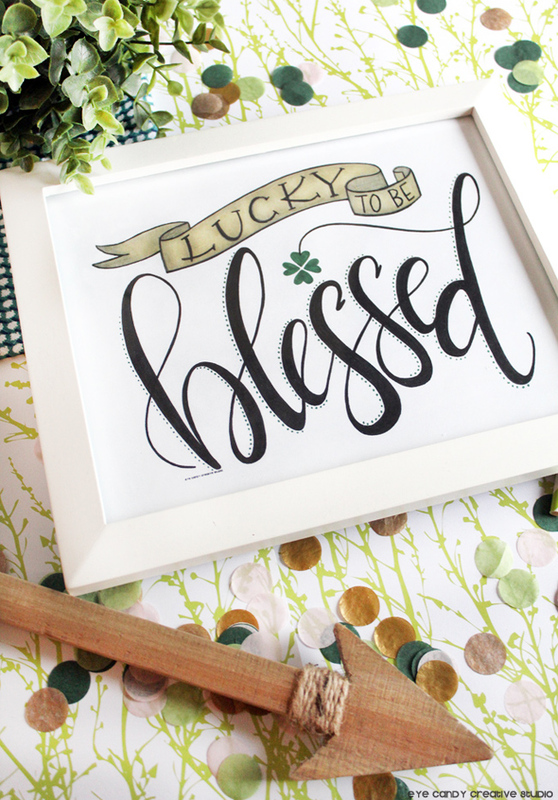 I decided on an obvious color palette of black and white with just a touch of green with some gold but this time I wanted to design a print that could be used for not only St. Patrick's Day BUT a print that could be left out and compliment your home decor, any time of the year. 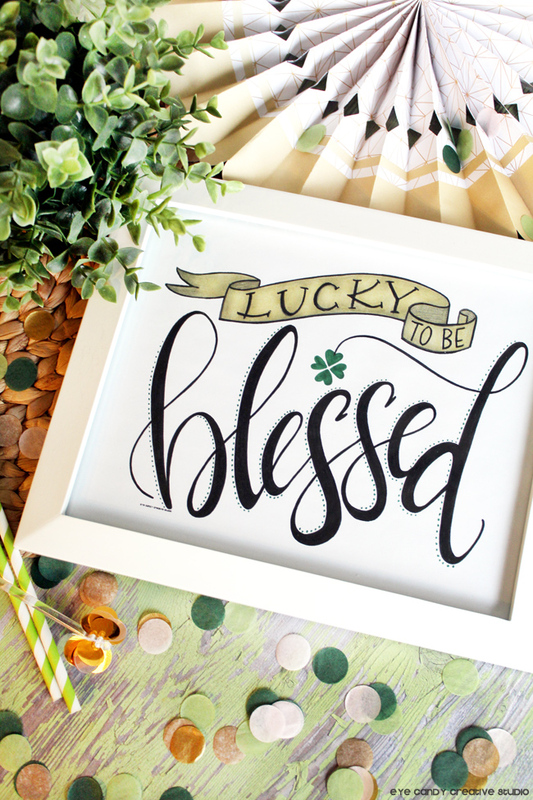 So I created a print that doesn't scream just "St. Patty's Day" but can also fit right in to your St. Patty's decor as well. 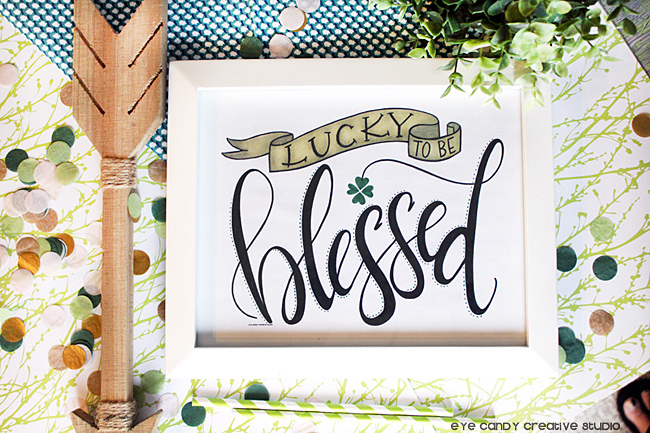 To grab this FREE art print to enjoy in your decor, just head on over to the Giggles Galore blog (where I am a monthly contributor) and print this "Lucky to be Blessed" hand lettered art print for YOUR home. It's available here for FREE and while you are over there, check out her blog as she has some amazing craft and party ideas as well that you will love! One last thing . . . I wanted to remind you that I also offer CUSTOM hand lettered prints, decor, wood signs and anything else you would like hand lettering done on so just ask and I can make it happen! Happy St. Patrick's Day my friends !